Well, yes - in some cases they do! Even at the formation of the very first Grand Lodge there were rival groups, imitators, dissenters, and merely idle 'troublemakers'. Why? A variety of reasons but usually spite, a strong desire for self-aggrandizement and/or personal greed seem to top the list. All three are strong motivators, particularly when someone feels that they can bring themselves greater personal recognition and reward. Today, they can use the internet to create what appears to be 'the real deal' - but better - so that the unsuspecting who want to actually become Masons will wind up giving them money (and praise) instead. There are also those who create such organizations as a 'front' for other nefarious deeds, usually criminal. Long before telemarketing and telephones, Masonic degree peddling was a VERY lucrative business, making scam artists a pretty penny. Today with the internet, such scams grow and flourish! As with telemarketing, these spurious groups do LOTS of dancing around trying to claim "We are legitimate!" while regular, 'recognized' Grand Lodges merely go about their business. The 'not bothering to notice' attitude taken by regular/recognized Grand Lodges as well as the general tenor of today's society seems to cause some Masons to take a 'live and let live' attitude with these bogus and make-believe groups/individuals. They'll assert, for example, that they have just as much right to be regarded as Freemasons as those who are regular/recognized and who have historical roots to the foundation of the organization. Sadly, though, their logic is based on a flawed assumption: they presume that because someone has gotten a ritual from somewhere and has decided that they can call themselves Masons (or Free-Masons, or whatever), then they actually are Masons. It would be as foolish as my claiming to be a woman, or a 97th Degree Rotarian, or a hippopotamus and expecting everyone to recognize me as such. Just because someone CLAIMS to be something, doesn't make it so! I can claim to be Italian - but I'm not. I can claim to be a Doctor of Engineering - but I'm not. Why should someone CLAIM to be a Freemason when all they've done is read from a ritual that they bought in a grocery store or at Amazon? Oh, and let's make it clear: regular/recognized Freemasonry has THREE DEGREES ONLY!!! The Scottish Rite - an appendant body - has thirty-three degrees which are generally numbered (because nobody can remember where in the order of things Knight of the East and West appears! <grin>). However, Scottish Rite is an APPENDANT body and NO degree in the realm of Freemasonry is higher than that of Master Mason - the third degree. Seen somebody claiming to be 95th degree - or 207th? - That's right: BOGUS!!! From the pages under 'Related Topics' on the right side of this page you can see some examples of just WHY anyone who stands up to proclaim that they're a Mason should NEVER be regarded as such. In Freemasonry today, if someone is particularly friendly or seems quite intelligent, many of those online will easily succumb to the rhetoric that 'they're a Mason even if my Grand Lodge doesn't accept them as such'. They'll tell you that they're a "different obedience" as if they were somehow quasi-legitimate. Tired arguments, sometimes dragging Prince Hall Freemasonry into the picture, blur the matter and ignore the fact that these counterfeit groups simply appear out of thin air and now use the internet (as well as ignorance about the many differences from Grand Lodge to Grand Lodge) to claim their legitimacy. 'Dumbed down' arguments ("It's like comparing which of two rock bands are better." or "It's the difference between strawberry ice cream and coffee ice cream.") completely overlook a several hundred year old structure which assures a certain degree of uniformity in behavior and moral rectitude which, in most cases of self-created Freemasonry is non-existent and is subject only to the whims of the creator-leader, regardless of his (her) benign motives or criminal intent. The moniker 'fake' seems harsh, particularly to those who bear that label from this website, but what else can one call a group that solicits membership using the symbols of an organization to which they have no true connection, save the use of the same ritual - perhaps from a book bought in a grocery store? Because a tractor uses gasoline, can it be called a motorcycle and driven around on a freeway? These groups will also make claims of being the legacy heir of some fanciful legend and their websites may show the leadership in fancy Masonic trappings (sometimes looking like parodies of a jewelry store mannequin) all designed - again - to obfuscate their illegitimacy. They want you to believe that if you join with them you'll be "a Mason" in all respects (and, it's intimated, a far BETTER one than that old, stodgy 300+ year old group with the several million members) when, in fact, you're only a member of their own small group of miscreants, governed by a not-always benevolent dictatorship. You will certainly NOT be accepted as a Freemason nor can you - as is said in Masonic ritual - "travel in foreign countries, work, and receive Master's pay". Run this by me again: isn't all Masonry the same thing? No, not really.... There are many organizations/groups and individuals who try to present themselves as 'Masonic' (or pretend that they're 'Masonry') when they are only so in their own minds. While they may consider themselves to be Masons, no one else in the world does - and therein lies the rub. Because the words 'Mason', 'Masonry', 'Freemasonry', and the like are not protected by copyright, trademark or in any other enforceable way, their free use is found everywhere in the world. You yourself could start "Joe's Masonic Lodge" tomorrow if you wished. Would any Mason recognize you as being a legitimate Mason or Masonic entity? No - although you yourself might feel to your very core that you and your organization were, indeed, 'Masonic'. But who decides - and how does one know what's real and what's 'fake'? One of the hardest things for non-Masons to understand about Freemasonry is that it is not a single, monolithic organization with one head and a single 'identity'. Freemasonry has grown in various ways in various parts of the world and although the signs and modes of recognition in 'regular' Masonic bodies are recognizable to other Masons, they are rarely identical in every respect. Further, each Grand Lodge decides for itself and its members what other bodies are 'regular'. Thus, the Grand Lodge of A might recognize Grand Lodges B and C while the Grand Lodge of B might not recognize Grand Lodge C as being a Masonic body. Confusing? You bet - although the instances of this type of thing are VERY small and usually involve very small Grand Lodges in very small countries. It's a complicated set of mutual recognitions that decide who is 'recognized and regular' and who is not. Added to this are a number of appendant bodies which are 'Masonically related' and thus trying to figure out who's who can seem bewildering at times - though it really doesn't need to be. As just one example of confusion, the Order of the Eastern Star is recognized and accepted as a part of the 'Masonic family' by every Grand Lodge in the United States. They're very much a part of various events throughout the jurisdiction and although not allowed into closed lodge meetings of Masons, they use that very same Masonic hall for THEIR meetings! Curiously, however (except in West Virginia which prohibits any but Masonic lodges themselves to meet there and which also prohibits the salute to the American flag), the United Grand Lodge of England - the oldest Grand Lodge in the world and from whom the majority of recognized Grand Lodges in the world derive their heritage (some came from Ireland or Scotland) - considers the OES to be 'clandestine' and forbids the Members of the UGLE to attend meetings of the group. Is the Order of the Eastern Star 'clandestine'? Guess it depends.... Particularly, though, if you look at the claims of these 'fake Masonry' groups, you'll find that in all cases they have STOLEN a heritage that is not theirs. Lists of Famous Freemasons are a clue. Are you looking at a lodge where every member appears to be Black but they've got a listing of nearly all famous WHITE Masons? Was their organization created in 2006 out of thin air and with no connections whatsoever to the past? Do they really, then, have the right to say that those Masons from the past are 'just like them'? Baloney! One group regularly touted Ben Franklin as an exemplar and yet Franklin spoke out strongly against such 'counterfeit Masonry' (see bottom of page). 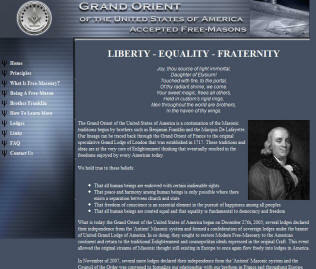 They bragged on their website that Franklin was a 'Grand Orient' Freemason hoping you won't stop to think that a lot of changes have occurred in the intervening 240 years and that the Grand Orient OF FRANCE then was regular and recognized but ceased being so only about thirty years after Franklin left France. So - how did we get here? And how can one tell if an organization they might consider joining is - in fact - some kind of 'fake Masonry'? We believe that taking a quick look at how these 'wannabe' groups arose will generally provide valuable clues. There are a couple of different types of what we have termed 'fake/counterfeit Masonry'. Obviously, this phraseology reflects our individual opinion and is not binding on anyone. Some refer to it as 'sham Masonry' and there's a good reason for that. Should a particular organization that we've identified as "fake" feel that they aren't, they're certainly entitled to their opinion - just as we are to ours! Of course, there are several million Masons who'll agree with our take on things while one or two people (maybe even a couple of dozen) who'll buy their argument. We believe one type of 'fake Masonry' involves simple fraud: a desire to separate someone from their money in order to pad the bank account of the instigator. It's a simple scam and may be perpetrated by either a non-Mason, an anti-Mason or - sadly - someone who has actually passed through the degrees of Freemasonry. The Alharam Lodge is an excellent example of this in our opinion. A second involves groups started by a disgruntled Mason or Masons, ostensibly in competition. It is done primarily out of spite (not exactly a "Masonic" virtue!) and in order to 'prove' that they were right and everyone else was wrong. Although this isn't always why things like this occur, it is a predominant theme and, with the help of the internet, they can present a VERY persuasive appeal that they're legitimate while the centuries-old organization from which they split is not. You'll note that these groups make grandiose claims but they're quite short on facts. You'll see an lofty address by a supposed 'Grand Master' yet there will be no place and time at which meetings are held. Why? Because they don't want anyone to realize that it's less than a dozen people making up their organization! 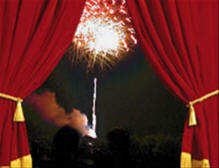 Better to recount wonderful imaginary events than to admit that nothing has happened. There's a 'variation on a theme' whereby a Mason in good standing decides that he can offer Freemasonry something they don't now have: some special wisdom or following some particular 'path' (be it esoteric, occult, political, religious, or whatever) and starts another group from his own imagination. We elaborate on this below. Members in each of these groups will rave that they're 'true Masons' even when no other Grand Lodge in the entire Masonic universe recognizes them as such. They become indignant when others laugh at them or demean their attempts at 'dress-up'. To avoid the stigma of non-recognition, they use the internet to find a couple of other self-created groups and will then assert that, indeed, they ARE recognized - just not by the stupid, REGULAR Masons who are so behind the times. It's really simple: if you claim to be the King of Siam, you might get your brother-in-law to go along with the claim if he sees that you'll recognize him as the Oligarch of Oganamy. (Yes, that does sound awfully childish but that's the way it works folks, believe me!) All of this can cause great difficulties for those who've gotten involved thinking they'd found 'the real deal'. It can also cause someone to lose a considerable amount of money before they realize that they've gone down the wrong path. Should you become a member of one of these counterfeit groups, you'll can call yourself a Mason but you'll never gain admission to a regular Masonic lodge and no Mason - outside of the handful of others in your so-called 'lodge' - will acknowledge you as such. A recent example of such a sham is shown with Dr. Conrad Murray, the besieged former physician for the deceased Michael Jackson. Sometimes, for whatever reason, a Mason will choose to leave Freemasonry. Usually their departure is uneventful and everyone goes on to their separate lives with the departing member putting the part of his life involving Freemasonry behind. However, in some cases, these individuals have decided that they can create a 'better' Freemasonry and set out to prove it by setting up their own organization or organizations in direct violation of Masonic custom and tradition (and, in modern times, Masonic law). With the internet, they can create grandiose websites, complete with graphics recognizable as 'Masonic' and with links to legitimate organizations. They always seem to use titles and wording that, to a neophyte or someone unfamiliar with Masonic 'jargon' seems quite convincing. Sometimes, the person who perceives themselves to have been aggrieved will be content with a few letters and intemperate online postings. In Maine in the United States, for example, a former regular Mason suspended for misconduct tried for some time to proclaim what HE determined was 'correct' about Freemasonry and kept alive an internet mailing list that was once tacitly supported by his (now former) Grand Lodge. He would write soliloquies about what he saw as proper Masonic conduct, forgetting that he had pledged himself to a behavior far different from the manner of behavior he was exhibiting. His acts, though, were visible to only a few in Maine Masonry so one must ask: to what end? In another, more visible situation, a Past Master of a lodge in Illinois who was once a somewhat widely-recognized moderator on the America Online (AOL) Masonic Forum, was suspended for un-Masonic behavior in his lodge. Despite this, he continued to post on various public newsgroups asking questions about Masonic jurisprudence as if somehow the 'court of public opinion' would undo the issues that had separated him from Freemasonry. In his postings, he sometimes used "U.D." in his signature line which, only after close questioning he admitted, meant - according to him - "Under Disability", some sort of contrived description of his non-status as a Mason. He maintained that U.D. showed he was still a Mason in good standing although suspended! If a child is suspended from school, is s/he really "in good standing"? We always thought that, as in 'real life', suspended meant suspended - as in 'You aren't part of this!' Does someone suspended from school get to play in sports? Do they get to graduate? Errrr....NO! In neither of these cases, however, did the individual seek to create a 'competing' group. In some cases, though, an individual will decide they should start an organization of their own and will create (almost entirely on the web where probing questions can be ignored) quasi-Masonic bodies calling them 'Grand Lodges' and 'Rites' - or a 'High Council' or 'Grand Orient' or some other phraseology designed to confuse everyone. He'll use the symbols and nomenclature of 'regular' Freemasonry alongside personalized rules and requirements. Such groups are usually referred to in Masonic parlance as 'clandestine' although we should quickly note that there's no standard agreement amongst 'regular' Masons as to how to use that word so that no confusion as to definition exists. But what is the problem with this multitude of "Masonic Grand" groups? From our perspective, it allows a total abandonment of the rules of conduct and behavior required of a Mason. Within the 'regular/recognized' lodge and Grand Lodge realm, there are certain expectations, certain protocols, certain things that are and are not acceptable. With counterfeit groups, there are no sanctions (save the removal by the grand leader, unless complicit in the bad behavior himself) or expectations of appropriate 'vetting' prior to accepting one into membership. Freemasonry is built on a complex interlocking of trust whereby all members are truly Brothers. While it is easy to point to the (thankfully very rare) exceptions, in the main the system functions quite well and has for some three centuries. In our internet age, many of the counterfeit groups will accept a member based on submission of the appropriate funds with little or no attention paid to anything else, their protestations notwithstanding. Masonicinfo Note: A classic example is the boorish and inappropriate behavior of Mr. Brad Cofield who lied about his membership in the self-created Grand Orient of the United States (GOOFUS), was said to be unfit for membership a few months later by the then Grand Master, was touted as being the key to their success in the Northwest US scant months later by the group's founder, and was subsequently ejected from their online venue not long thereafter. While imitation may be the sincerest form of flattery, in cases where it comes from spite or anger and serves to confuse those not involved, one can hardly acknowledge it as being "Masonic".... Further, it is now a well-established rule of Masonry that no new lodge can be started except by permission of a previously-established RECOGNIZED Grand Lodge and that no new Grand Lodge may be instituted except by the agreement of several already established RECOGNIZED lodges. It's not, then, possible - at least within normal, accepted Masonic protocol - for Joe Blow to go start his own group - but that's what can and does sometimes happens! Such 'clubs' (for they cannot by any stretch of imagination be called 'lodges') will NEVER be recognized by other 'mainstream' Masonic lodges and membership in them makes acknowledgement of Masonic status by others virtually impossible. Such bodies are subject to the capricious rule by (normally) one person who likely will serve for the life of the organization or his own so unlike 'regular' Freemasonry where - except in those locations where a crowned head of state is the titular head of Masonry - terms of office are limited and are subject to vote of the membership. In the spuriously-formed groups, there's no centuries-old history to consider when making decisions and there's always the need for them to 'justify' their own existence. We're really not trying to flog a dead horse here. However, the general attitude of a few online Freemasons is 'Oh, I've heard enough about this already. Let them do what they want. It doesn't bother me.' That really isn't true even though they may think it is. In point of fact, it generally involves LOTS of people. The United Grand Lodge of England found, to their ultimate dismay, that not deigning to address the criticisms raised against Freemasonry and to go on their own way pretending such things didn't occur ultimately resulted in their being castigated for much that had nothing at all to do with them. So too today with Counterfeit (Bogus - Fake) Freemasonry: some Masons will argue that bringing all this up just gives attention to cause them to do more. One wonders though: will those ostriches be the ones to explain to the general public that the drug pusher was not a 'real' Mason when, after all, he'd been holding public events in Freemasonry's name? That's just ONE relevant example we've got on our site - and there are/will be many, many more including, now, the doctor who is in the forefront of charges involving the death of Michael Jackson. It also happens that, for whatever reason, regular/recognized Masons won't realize the potential harm in acknowledging others as 'Masonic brothers' outside of the rules of their own Grand Lodge which they've sworn to uphold. They may not know of the person's prior 'bad acts' and often, these can be easily dismissed or ignored as there's no 'clearinghouse' for such things (except, perhaps, right here!). Ultimately, when the bogus group does something untoward or worse (and it's bound to happen because, having walked away from rules and obligations once, there's nothing to prevent them from doing it multiple times), we wonder what those Masons will say. "Oooppsss. Sorry!" won't quite make it. Bottom line: it's time to STOP CODDLING COUNTERFEITERS AND FRAUDS! There are some organizations related to Freemasonry (although not attempting to initiate candidates or perform any of the Masonic degrees) which function in a way that consistently reflects worthily on Freemasonry, following its tenets to the letter. They are not, for whatever reason, acknowledged by all Grand Lodges. 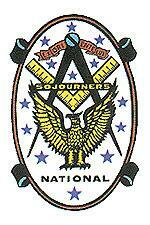 The National Sojourners is an excellent example. Founded in 1921 by former World War I US military officer veterans who sought to combine their patriotism with their love of Freemasonry, the group regularly provides patriotic programs to both lodges and the community. This group, though, does not exist everywhere and in many jurisdictions it's entirely unknown. That's not because their activities are seen as being inappropriate for Masons but rather because the Grand Lodge there has simply chosen to not acknowledge their existence formally. While the organization has representatives at such functions as the meeting of the Grand Masters of North America, some Grand jurisdictions in the United States feel they have 'enough' appendant organizations in their jurisdiction and that one more might further dilute the membership participation in their craft lodges. The same is true for organizations like the Grotto, High Twelve International, Tall Cedars of Lebanon and others... These groups, proudly acknowledging the membership of many current and past Grand Masters, are not universally recognized as part of the 'Masonic Family' despite their strict adherence to Masonic protocols. They are, however, legitimate in their own right - and FAR different from the spurious groups set up by somebody on a whim (or for a scam)! There are also groups other than Freemasonry which have been beset by people using their name and symbols. An interesting article about the OTO appears here. An interesting sidelight - And a real reason for concern! The "Pennsylvania Gazette," No. 444, June 9 to 16, 1737 published by printer Benjamin Franklin tells how a Dr. Evan Jones, a prominent apothecary of Philadelphia, duped his apprentice Daniel Reese, who had expressed a desire to become a Freemason. Seeing an opportunity for ribald amusement, Dr. Jones and several associates put the young man through some absurd ceremonies, telling him he was an Entered Apprentice, and directed him to return on June 13, 1737, for another degree. Further horse-play, coupled with indecencies and indignities, were then ensued. 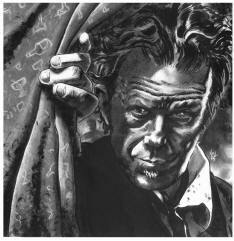 These were followed by a final ceremony in which "his Satanic Majesty" appeared, but who, to the disappointment of the conspirators, did not serve to frighten the candidate; whereupon Dr. Jones, the impersonator of the devil, threw a pan of flaming spirits upon the apprentice, with such frightful effect that he died three days later. The publication of the story in local papers, and the blame attached to the regular Masons, innocent of any wrong doing and equally strong in their censure and condemnation of the act, brought the fraternity into bad repute in certain quarters, and enemies of the local Craft did not hesitate to seize upon the occasion to further their own ends. The various accounts were reprinted in the colonial papers, and thus the occurrence achieved a place in the annals of American Masonry as the first anti-Masonic expression in the colonies. The above story is very lightly edited from Bro. J. Hugo Tatsch's article in "The Builder" magazine's August, 1926 edition. Be sure to read our information on various spurious imitation, competitive and dissenting groups by clicking on the pages listed in the margin to your right. First online in 2008 and updated most recently in October, 2014.